Gain control of your sound! Due to its violent nature, heavy metal needs a particularly polished guitar sound or it might become unintelligible. Here are several tips to achieve a heavy and accurate sound at the same time. But make no mistake, a fat sound during rehearsal can be deceiving, it might prove to be unruly during concerts and you will end up with an awful sound coming out through the PA speakers. 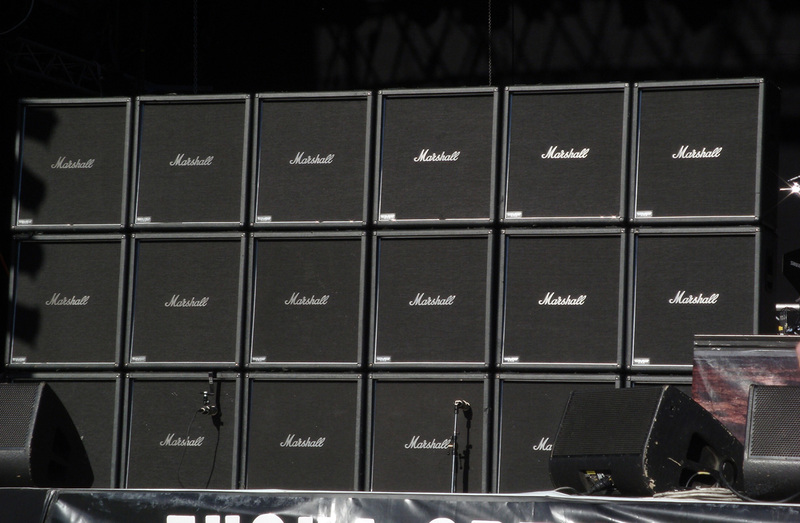 Regardless of the type of metal you play, you will need a good dose of distortion. So crank the gain knob of your amp's distortion channel all the way up. However, bear in mind that may work with tube amps, but it might not be as flattering with solid-state amps, so you will be forced to decrease the gain. The gain setting will also depend on your guitar and especially on the pickups it has: it is much easier to get a heavy distortion with a humbucker (dual-coil pickup, like on Les Pauls for example) than with a single-coil pickup (like on a Stratocasters). It also common to use active pickups or electronics (EMG, for instance, which can be seen on certain ESP and Ibanez guitars) with the goal of increasing gain and/or the signal-to-noise ratio at the source. Let's move on now to equalization. A typical metal sound can be achieved by making it hollow, which means boosting the low and high frequencies and lowering the mids. Drastically cutting these frequencies might eventually work when you're playing on your own right next to the amp, but it will be less effective when playing together with a drummer and bassist (and even completely inaudible with a second guitarist and a piano). In case of failure with your amp's integrated EQ you will have to resort to effects pedals aimed at metal. 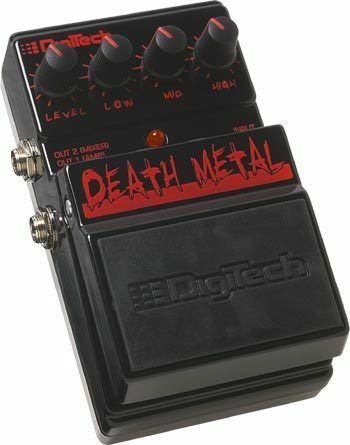 The offering is pretty broad, so I will only name here some references like the Boss MT-2 or the Digitech Death Metal (for the most brutal among you). For small budgets, a Harley Benton HM-100 or a Behringer XD-300 will do the job. If you have put some money aside, a tube pedal like the Blackstar HT DistX could be a good solution. And I feel obliged to mention the precursor of modelling, namely Line 6 and its Pod II, which has seduced many guitarists that use it as a distortion pedal (even if I'm not really convinced of how it sounds with an amp).. 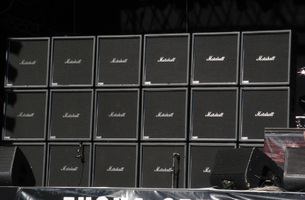 Finally, headbangers looking for the heaviest sound can always turn to down tuning. This technique consists in tuning your guitar lower or using a 7 or even 8-string guitar (in G sharp!) to get an extremely heavy sound for rhythm guitars, like Meshuggah's Frederik Thordendal. What Are Guitar and Bass Pickups Made Of?